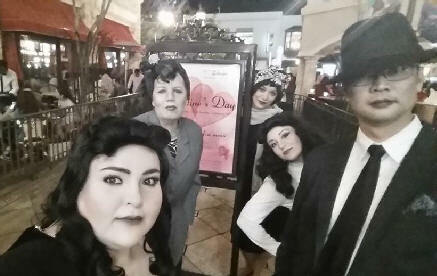 We arrive at your event straight out of a black & white movie, complete with full greyscale makeup. 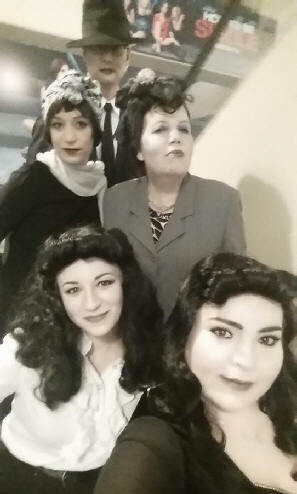 You can book the team of atmosphere players to liven your party and take photos with your guests, or you can book a small group of dancers who will perform a vintage dance in full greyscale costumes. 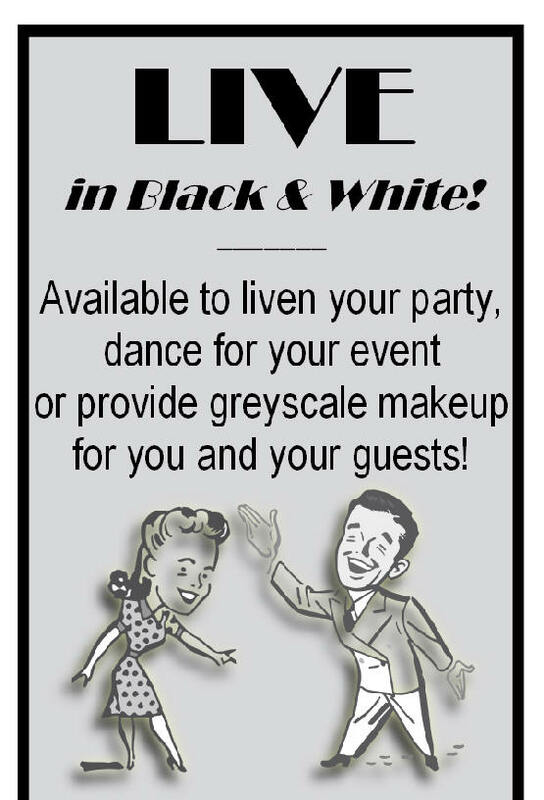 We are also available to do greyscale makeup for you and your guests during the party or beforehand for party hosts. Contact us for booking quotes.